Every so often I scroll through the free ebooks and download whatever catches my eye. 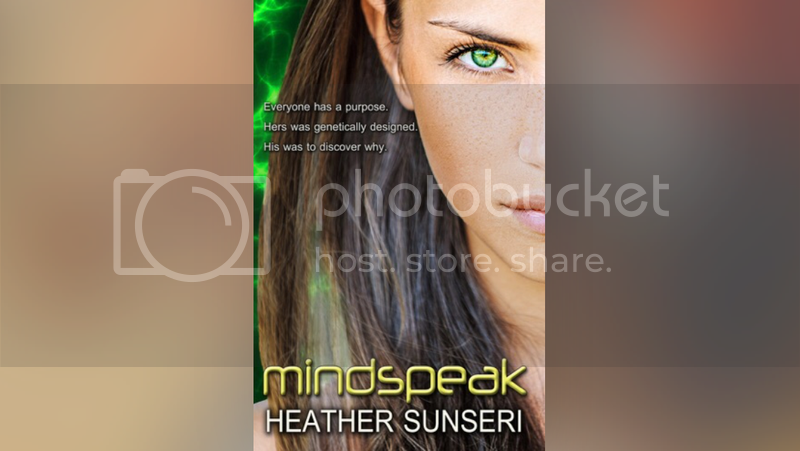 So in my ebook search, I discovered Mindspeak by Heather Sunseri. From Goodreads: "She was created for a purpose so revolutionary, someone was willing to kill for it. As Lexi seeks answers to what she and Jack are, she discovers a truth more unsettling than anything her science books can teach. And letting Jack into her life of secrets is not only a threat to her very existence, but it just might break her heart wide open." Mindspeak was suspenseful and highly interesting. If you enjoy genetic thrillers, definitely download this one. It kept me guessing - I couldn't put it down! Without giving too much away, there's twists and betrayals and mind-boggling situations. It's really a book that you need to experience for yourself and it had me really thinking about genetics throughout. I'll definitely be continuing the series!